Come back and Haunt me. I can’t say I even believe in heaven anymore. This magical place where only the good belong. The ones that don’t screw up, go the wrong way, get sucked in by just trying to survive and forget this almost impossible place, they belong in heaven. The rest of who aren’t sure about feathery angels and golden rules, where do we belong? Do we belong in that odd nothing where those who claim they don’t believe in God go? Is heaven actually a state of mind where you mind just blanks out to when you aren’t sure what to think anymore? Do we get a choice to go or can we please stay with those we love for a while longer? I was always a good girl. I followed the rules and said my prayers before bed just in case before I woke I was snatched out of the world of the living and made to face judgment. Sometimes I still do. But those prayers aren’t for me anymore. At some point prayers are more focused on sick kids and troubles you can’t fix on your own. I never really strayed into the dark side, some inner fear that once you get too far gone you can’t just run back and hide under the covers. I suppose I am technically still a good girl. It’s been a while that I could actually say that I was on solid ground. It is amazing what someone you love dying can do to make you really question life. I still talk to them, Lance and my Gram, sometimes even out loud when nobody else is around. I don’t expect answers. I just need to hear the sound of the questions and feel them across my tongue. Lance knew something was up, we talked about things like that. He somehow knew that even though he would fight it, there was going to be a change in our relationship. Maybe it would be me. I have this sick thing, this Lyme curse. Maybe it was going to tragically end my days and everyone would say that it was so sad that I left behind a loving family and a great life. But it was for the best because she was always fighting the sickness and the pain was terrible for her sometimes. Unspoken we knew that something was going to change us. We talked about wills and really needing to grow up and make some plans for just in case. He must have thought about it a little because he had the papers, his directives… just never finished them. I still ask him why it had to be him. He still answers back with unreasonable answers. As I try to find understanding, the house is too loud. Girls playing the piano and singing, boys running around laughing, a house full of reasons. I have walked through the stages of grief and coping and somehow come back to the start. Today hurts, tears come, not for him but again for me. I know he isn’t coming back to life, not going to call anymore even though I have kept the phone in my desk drawer with his texts. I know that life has changed for me for the better and I am not who I was before, I am better and stronger. But it still hurts, likely it always will sting a little. I am different now. I question life just as much as the afterlife. I feel faith deeper in my core, not for the pathway to heaven but for the stepping-stones to life, tiny chances to live more connected. I have questions and now instead of passing thoughts, I ask them and seek answers. They died. I get that, but I don’t have to die with them. I can’t let days pass shadowed in darkness and tears, I want to live fully. I don’t want to wallow in depression of sadness, I have seen how that drowns a soul. Ester Hicks said once “A belief is only a thought I keep thinking.” I am thankful for the challenge of my beliefs that I have experienced this year. I started this journey feeling such overwhelming pain and I am coming around to this milestone with overwhelming joy. When I think about grief, the first thing I think is, thank you. You have given me an incredible gift, one I didn’t ask for and didn’t want. You have haunted my thoughts and pushed me to being stronger than I ever thought possible. You have shown me that I am a beautiful person and as frustrated as I have gotten with having Lyme, I am still not beaten. You have been that voice in the back of my head reminding me to say I am sorry when I am angry, telling me that life is short and I might not get the chance to take it back. You have made me see how important it is to tell people exactly how you feel, even if it isn’t all that pretty. You made me stand up for myself and demand that if you are going to be in my life you aren’t going to threaten me with guilt or tell me lies. You made me hold strong to our promise to put myself and my family first and let go of pain, no matter where it came from. You have haunted me, perhaps not in the way I would have thought. Belief in the afterlife or not, the power of our friendship didn’t fade when death came. It made me strong enough to get through it. Can there be a heaven waiting for us? Perhaps heaven isn’t anywhere, maybe heaven is just knowing that you are part of something connected and truly becoming part of everything. I won’t know until it is my turn and until then I’ll be living. I forgive you for dying and leaving me here in this world without a clue as to how I am going to be able to get through a whole day without seeing something that reminds me of you and missing you even more. I don’t want to wish for one more day any more. I want to get through this one without thinking that I want to call you up today and ask your advice, knowing that you are going to be on my side and help me see what is usually so plain in front of my face. I had a breakdown yesterday and all I wanted was to hear your voice and have you tell me everything was going to be ok. Nothing feels ok right now. I don’t like that you have the best excuse for not showing up to my 40th birthday party, I really wanted you to be there. I forgive you for dying, but I am so sad that you did. Little Girl, whoever you are… I forgive you for driving the car and being stupid in thinking you had enough time to pull out in front of my oldest friend and brother. But you didn’t… You killed him and now he’s gone from the rest of us. Now we have to live without someone we loved so much because you couldn’t wait one more minute for him to pass. I forgive you even though my heart feels so sick because I can’t go five minutes without thinking about the man we all lost, the friend, the brother, the partner, the incredible talent that was torn away from us. He’s gone because you were in a hurry. I hope you learned that some things are worth taking your time and being careful over, you can never replace a life. And you, Guy in the Car on 97, I forgive you for being pissed off at my son and causing him to have an accident that could have taken his life just as easily as I just lost my oldest friend. I forgive you because you couldn’t have known that he didn’t have enough experience in both life and riding to be able to handle the situation. What you did was wrong and I hope that somehow you actually were able to see that your actions that you got away with almost took the life of someone amazing and young because you were pissed off. Unlike the Little Girl whose actions caused the death of an amazing man on his motorcycle you weren’t responsible for a death, and I am thankful for that. Even though your actions were on purpose and you wanted to hurt someone that day, you got lucky and so did we. That day a life was saved, lessons were learned. I forgive all of you because I can. I have to forgive my best friend for dying because his death ripped a hole in my reality so wide that it demands that I stop and take notice of all of the people left in my life and to be thankful for all of them. I forgive him for dying, because I know in my heart that he did everything he could to prevent it and I know his spirit is with us all as long as we need him. And that Little Girl who took him away from us didn’t set out that day to kill anyone and I know that. Few ever set out with that in their hearts. The hardest one to forgive is myself, I know I should have called him more, returned calls faster, stop rolling my eyes when he would go on for hours on how much he loved his girlfriend. I wish now that I had taken that trip out to see him when he asked and the day off of work when he was here instead. I can’t get those days back and I am still pretty sad about it. But because of all of it, I am taking time to stop what I am doing when my family wants my attention. I am making time to see friends and listen to their stories and not letting my work be an excuse. I am learning to listen to my inner voice and understanding my own needs as I try to get through a whole day without tears. I’ve gotten close, but so far I am still finding that difficult. But I forgive myself for feeling emotional and having feelings that change with the tide. It's amazing to me to see the great contrasts of life. Where there is darkness, soft rays of sunlight break free and hope emerges. Where there is great sadness and despair joy can still be found. That is the contrast. The contrast is the stark difference in the situation. Someone once asked me how I could look back at some of the difficult times of my life without anger and I had to explain that no matter how bad the situation was, there was also something good that came out of it. Perhaps it was a moment of clarity that I suddenly found in the midst of my sobbing, a butterfly that landed close after the death of my dog, or even the contrast of pain in childbirth against the pure joy of meeting each of my children, all of it monumental moments that are part of the greatness of life. Recently I heard something funny about the contrasts of life when the question was asked of why a dog loves to hang its head out the window of a car when there is a risk of getting a bug in the eye. The answer made me smile, because the annoyance of the bug is far worth the great thrill of the experience and joy of that moment. How often do we shy away from amazing experiences because it might cause us a bit of discomfort? Do we allow the fear of the contrast keep us from taking chances that might cause us great joy? I know many times I have been guilty of not taking risks because of the great discomfort I feel of flying, I would fret about the trip and often not even take the last-minute chance to get away because of my fear of flying that has yet to turn out to be exactly what I feared it would be! Take risks, experience life at it's best and don't let the contrast of a bug in the eye be what holds you back from becoming who you want to be. 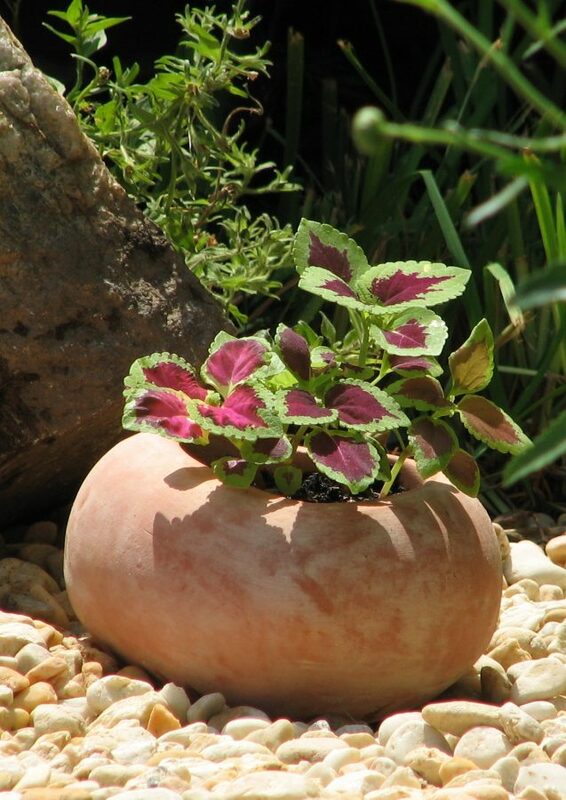 Even in the dryness of the stone, there is often life if you are willing to look for it. “I have so much to do, how am I ever going to get everything done?” My own inner voice chanted as the traffic and weather cycled through the morning announcements on the radio once more. I knew I had to get up, get moving, and start to tackle the things on my list. My eyelids still swollen heavy from sleep slowly slid up and searched for light to recognize that yes, daylight had broken through the heavy curtains and I could no longer doubt that morning had come already. “OK, get dressed and get Sara up for up for her big day.” Today was the day my youngest went in for her braces. She has had a roller coaster of emotions leading up to this, but undoubtedly she was nervous about taking the next steps of her teenage years and getting her braces firmly attached to her teeth for the next 2 years. I felt for her, knowing she was going to be pretty miserable for the next couple of days til her mouth healed and adjusted to the metal intrusions. Still comfortable in our bed, my husband seemed to be enjoying the last few minutes of peace as he stretched out and took up the rest of the bed in my absence. I peered around the corner at him as I brushed my teeth and got ready for the day, wishing I were back in bed for just one more hour. However my list of things that needed to be done today kept me from crawling back between the covers and laying my head on the soft pillows. “6 orders need to be finished this week, it’s Tuesday already! “ In addition to being a full time mother and wife, I am also a business owner and embroidery artist. I had 6 orders waiting for me when I returned from my vacation and a promise to my customers that I wouldn’t fall behind. Fine, I wouldn’t go back to bed and I wouldn’t begrudge my husband for taking his sweet time getting up and enjoying being comfortable, no matter how much I wanted to through a pillow at him for his comfort and my frustration of being awake so early in the morning. I am NOT a morning person, and it’s taken years for me to be able to master not snapping at everyone who talks too much, is too cheerful, takes too long getting out the door, or is generally in front of me. I am the kind of person that needs to slowly wake up, lay in bed a while, and move through the morning at a slower pace. In fact my business, Morning Tempest Studios was a reflection of my desire to set my own hours and avoid mornings if at all possible. Little did I know that even if I was my own boss, I would still be getting up early to get to work. The toast in the toaster seemed to be put into slow motion as I scurried around trying to make sure I was ready to head out for the morning. Hunger reminded me that before I was going to leave the house, I was going to put something in my stomach. I looked at my husband who had managed to get up, dressed and be making breakfast and wondered how was it that he seemed to be so much better at moving through the morning that I? I had a schedule, I had preplanned my movements through the day the night before, and he just seemed to appear ready for the day. I growled to myself that his better mood was likely because he got that extra 10 minutes of sleep that I had been deprived of. Scarfing down my toast, looking for my shoes, yelling for my daughter to hurry up, and looking around for my purse I realized my husband was cleaning up the kitchen and doing the dishes by hand and drying them exactly the way I like them. I sighed, wishing I had more time to help him and could show him I was very appreciative of his help. 8:15, time to go! I start searching for my shoes and head for the door when my husband passes me in the hall and grabs his keys. As he asks her if she’s ready I realize that he was about to leave with our daughter. Wait, HE is taking her to the orthodontist?? All of this rushing around I had been doing to get ready and HE was taking her? I got up earlier, got dressed, and did the morning panic and I didn’t have to go? But then I realized that even though my internal chatter was rambling on about schedules and not getting to sleep as much as I had wanted, my husband had his own gentle schedule and was there to help. As they left I felt a sigh of relief as I grabbed a cup of coffee and headed to my studio. Now I did have time to get my work started and make sure my customers were still happy with me. I smiled as the hum of the machine began to thump along and thanked the heavens for my husband and the busy life I have. No matter how hectic it gets, no matter how many times I wished I could get back into bed, I have someone who loves me deeply and is incredible at knowing when and how to help. Just do it… once you start it will hurt at first, but you will see the reason. Well… maybe that’s because you need to get over something. I am sure it is… just one step at a time. Nobody ever said it would be easy. Do you really need someone other than yourself? Again, does it really matter? Is that what you are trying to do, to hurt people? Then there’s your answer. Do what feels right. Stop being afraid. And then you start to become what you knew you were. Real. Like that damned rabbit who had to learn how to be real so it wasn’t forgotten and lost. Usually. Nobody wants to be forgotten. I believe that was how this started. No… one word at a time. A conversation of a writer struggling to start again between the self and the writer’s voice. My writer's voice is very much like myself. I write because I enjoy the creative process and I have something to say. I write for me. 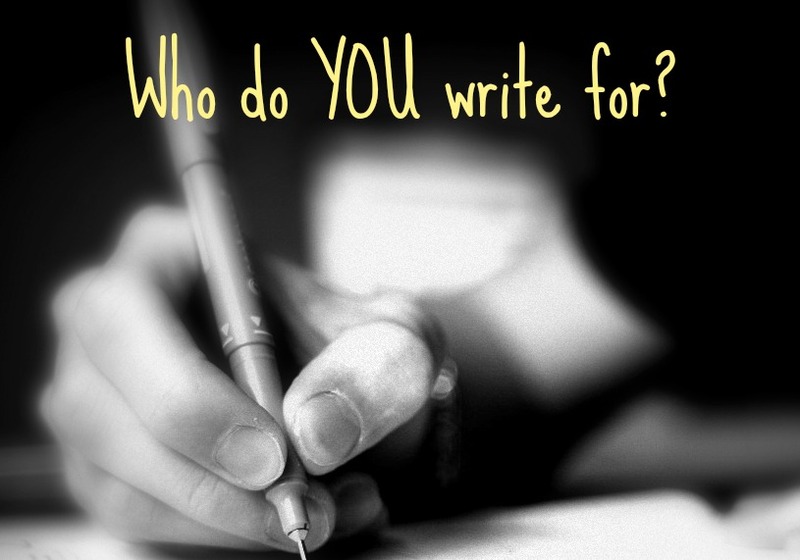 Who do you write for? Tell us about conversations with YOUR Writer's voice. Do you get along? Who is YOUR reader? Like this prompt? Let us know! You can also find other challenges here on Dancing with Fireflies or the Daily Prompt. My heart clenches as the seconds click by, closer and closer to that moment when I know that there’s nothing left to do but hold your breath to keep from crying. I hate that I cry. I just want to hold on tight, pull you against me so that you won’t leave. I need you to stay, I need you to keep me from feeling as if I am a frightened bird fluttering against the wind. I need you to be there and never let go. Trying to be brave. I know that the tears make me feel like a small child, but they well up under my lids and I know they are there. I am not ready to turn around and walk away, to get in the car and let it take me away from you. I am not ready to move forward in my life and accept any of this as the way it has to be! This isn’t fair, you shouldn’t have to go. I don’t want to wake up from this dream! Pressing my lips together, I keep them from saying the things I want to say. I always tend to ramble when I hear myself start to lose control of my words. I want to be eloquent, but more often come out incompetent. It’s always so much easier to let my fingers sort through the thoughts in my head. I can control what escapes from my heart. But right now I just have to press my lips together and swallow back the desire to say that I don’t want you to leave! I don’t want you to get on that plane and leave me here! I don’t want to feel what I know is coming next. It’s always silent, those first few minutes. As if everything numbs and I just need to find a way to adjust. I want to reach back, I want to redial the phone and hear your voice once more. I want your laughter and I need you to come back and make me sure that you will return. I am never sure, this part of me that isn’t ever really sure anyone will return. Why am I so afraid of being alone? You remind me that this is the way it has to be and I nod as I know. I scowl at the idea, the knowing of this reality. I feel my skin as it searches for traces that you were there, a memory of touch. I don’t want to feel this way. I want to be strong and brave! I want to be able to walk away with my cockiness showing with each step away from you. I want you to look back, I want you to stand there and watch me walk away and ache to have me back. The time is almost here and I know that you feel something too by the way you look down at your phone and check the time. There’s a look that passes quickly over your face, is it the same frustration and nervous ache that I feel? Or are you ready to go? We move slower, as if trying to draw out the minutes so that we can feel more in those 60 seconds than any other day when we are waiting for time to pass faster. You look out the window and make small talk and I nod and make noises as if I am actually thinking of what you are saying not the whispers of my own thoughts. You tell me that it won’t be long and I nod and try to tell myself that too. But I know that once I let go, I won’t be able to pull you back and you will be gone. I want to capture the sound of your voice, replay it over and over in my head as I prepare myself for the release. I can do this… I can let go and find a routine without you in it. I could do anything if I weren’t so damned happy to spend every day listening to your stories and laughing with you over silly things we have seen together. I could move to that beach house and write my novel, I could write a dozen novels if not for the time I spend with you. But I wouldn’t trade a single day. Then it is here, that time. Time to let go and walk. Let go and move forward. I curse under my breath as I try to tell myself that this is silly and I need to be tough. Everyone leaves, everyone moves on, everyone dies. One foot in front of the other and I start to move again. I find the music on the radio and dial to something that will draw my attention away from the pain and growling words of my inner rants. The music starts to soothe and I am drawn away from my hurt and led gently to something else. You will come back? Won’t you? I know I’ll wait. I always wait for far too long. I keep that hope alive that somehow I am worth coming back to. You will find me, wherever I have wandered and wrap your arms around me tightly and pull me into your embrace. You’ll make everything feel better and kiss away my tears. You will softly press your lips against my neck and I can feel the heat of your breath warming me. You’ll laugh as I hold on tight and allow me a few more minutes of this peaceful place. Nothing will feel as good as when you return. That simple moment will start to erase the memory of the leaving. Slowly things start to feel whole again and I am drawn back into the world of the living. For a moment I start to think that this isn’t so bad, that there is always the return to make it all feel better. I swallow and nod as I try to keep this thought up front as you let go and slip away from me. If not for the leaving there would be no returns. The sun breaks through the bones of the winter trees warming stubborn birds that don’t seem to care about the bitter wind. It is still, cool and quiet, the rush has already passed. Morning commuters have already stumbled through their morning routines of coffee and emails. Now the calm returns and the rows of houses sit quiet again. The pale turquoise chalk board above begins to come to life with icey trails of planes writing about their adventures across the sky as some of us gaze dreamily out our windows. What will today hold? The snow has begun to melt, dashing grey squirrels dig through the edges to seek out a morning meal not caring about the stealthy feline watching their every moves. They seem to move in ways to tease the cat, flittering their tails like fanciful feathers on strings that normally send the feline into a frenzy. She has no choice, behind the coolness of the glass the cat is held prisoner to her desires and is no threat to the tasty creature she longs to capture. The tasks waiting should probably begin, though the desire to do them has little effect on movement. The enjoyment of much awaited for quiet times holds much more allure than mountains ever could. For now, this is my time. The quiet washes over me as daydreams take flight. Rare are the days where the house sits empty and I have time to wander through it without urgency. Fluffy socks, ponytail, and comfort are the uniform of the day, no need to impress. Few too little days like this. Through the window the lemon rays of morning wake my senses and start to recharge my batteries. Time to begin my own routine of life.